Missing teeth can often be replaced by Titanium implants which act like roots of teeth. After they have been fitted and have healed in place, dentures or crowns may be attached to them. When dentures are held in place by implants they do not slip around. When crowns are fitted on implants, they act like normal teeth. Implants can only be placed if there is enough bone present in the jaw. When teeth are lost the bone around the teeth gradually dissolves away. If too much bone has been lost, it is sometimes possible to grow bone in its place. 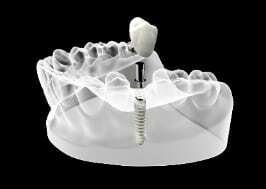 In principle, as many implants as possible should be used. 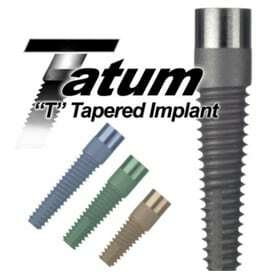 This allows the stresses of biting to be spread over the maximum amount of implants. held firmly in place. Later more implants can be added and eventually crowns placed on the implants eliminating the denture altogether. implant process can take only days. Initial Consultation – Treatment PlanningAfter discussing possible alternatives, the dental surgeon will assess the feasibility of providing implant treatment. 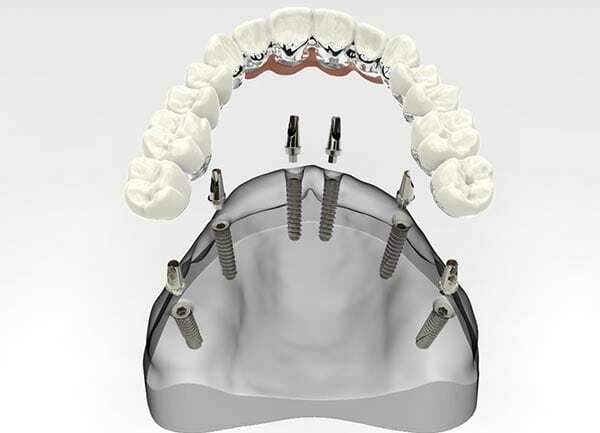 Dental Implant PlacementImplants are placed in the dental surgery under Conscious Intravenous Sedation. If, after assessment, the underlying jawbone is judged to be deficient, a number of options are made available for bone regeneration. Healing PeriodWith some dental implants and upon the Implant placement, the patient will have healed sufficiently within days after surgery . In most cases however it is often suggested that a period of three months or more be allowed for the implant to fully integrate and heal. The Restorative PhaseOnce integrated (or healed), the implants will be uncovered and a variety or restorations (Crowns, Bridges, Removable Denture) will be considered. MaintenanceFollowing the completion of implant treatment,patients need to clean thoroughly around the implants as instructed by the dentist. They should attend their dentist for regular review so that the health of the soft tissue, bone levels and the integrity of the restoration can be checked. Implants survive best in a healthy environment. Any tooth decay or gum problems need to be sorted out before implants are placed to give them the best chance of success. Gum Health. This may involve the use of a special brushing method, toothpicks and little “bottle” brushes. Some gum treatment may be necessary. Removal of Un savable Teeth. Despite the great advances in modern dentistry some teeth may have reached a stage when no treatment can save them. It is often best to remove them at an early stage Bone Grafting. When teeth are lost the bone holding them in place dissolves way. The more the loss of bone the less bone there is in which to place implants. When there is not enough bone present, bone may be grown to fill in missing bone. This allows implants to be fitted. The procedure is known as bone grafting. The bone used may be specially treated bone from a bone bank. All Ceramic and Cosmetic work (such as Crowns and Veneers) has a 5 year laboratory Guarantee. Do you want to Banish your Dentures for good? Did you know that Implants can change the shape of your face to make you look years younger? Have you been in a road traffic accident and have jaw problems and missing teeth? Have you had a tooth knocked out due to a sports injury? When a patient has only one or a few teeth missing as a result of failed root canal treatment, trauma, or a fracture, the tooth can normally be removed and implants being inserted on the same day with temporary crowns being fitted. This procedure is known as ‘Immediate Implantation’. the tooth has been missing for several years. The patient is wearing a partial denture. The jaw bone is in poor condition. The teeth surrounding the implant are in a poor state. The complexity of replacing all teeth depends on the amount of jaw bone that is available. Where adequate bone is available, implants and temporary bridges or dentures are placed on the same day. When old teeth need to be removed as part of the procedure, they can sometimes be preserved to support temporary bridges. Implants are used to replace the other missing teeth, with a final eight top and eight bottom implant. These types of cases usually occur when people have had teeth missing for many years, are about to lose all teeth due to gum disease, or can no longer tolerate the pain of wearing dentures due to bone loss.